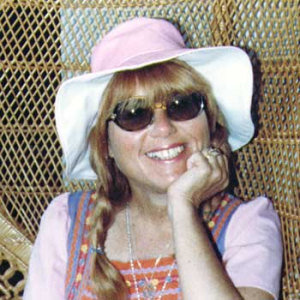 Dr. Marilyn Rossner is the founder-president of the SSF (Spiritual Science Fellowship), which is the The interfaith studies and services division of the Spiritualist Yoga Fellowship, incorporated in, Montreal, Quebec, Canada, in 1977. She is also the vice president and co-founder of the IIIHS (The International Institute of Integral Human Sciences). She is a retired professor of special care counselling at Vanier College, Montreal, and has served on the faculties of McGill and Concordia Universities. Dr. Marilyn is an award-winning children’s behaviour therapist, a world-renowned intuitive and visionary, an interfaith minister (ICCC), and the organizer of IIIHS Conferences. She has shared her magnificent gifts of the Spirit throughout the world, and is known for her uplifting messages from the spiritual world, and her visions of what is significant in life now. Dr. Marilyn has appeared on television in many nations, including the CBC’s Beyond Reason show. The SSF is an interfaith fellowship providing spiritual services, educational programs, and pastoral ministrations for persons — from all or no religious backgrounds — who desire to understand human experiences of psyche and spirit, and to dedicate themselves to personal spiritual growth, understanding, and psychic development, in an atmosphere of informed free thought and enquiry.